Is there anywhere in the world a script as elastic and mercurial as Yi? Classical Yi was an ideogram script, said to have been created during the Tang dynasty (618-907), but the oldest surviving example, an inscription on a bronze bell, dates to 1485. Yi is spoken by between 4 and 5 million people of the Yi tribes of Southwest China. 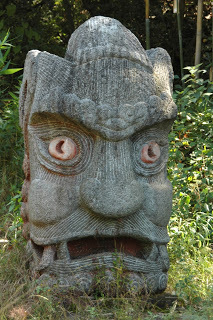 The Yi (according to China Kindness Tourism) are animists, with elements of Daoism, shamanism and fetishism. Shamans/medicine men are known as bimo or pimu. Bimo officiate at births, funerals and weddings. They are often seen along the street consulting ancient scripts. As animists, Yi worship the spirits of ancestors, hills, trees, rocks, water, earth, sky, wind, and forests. 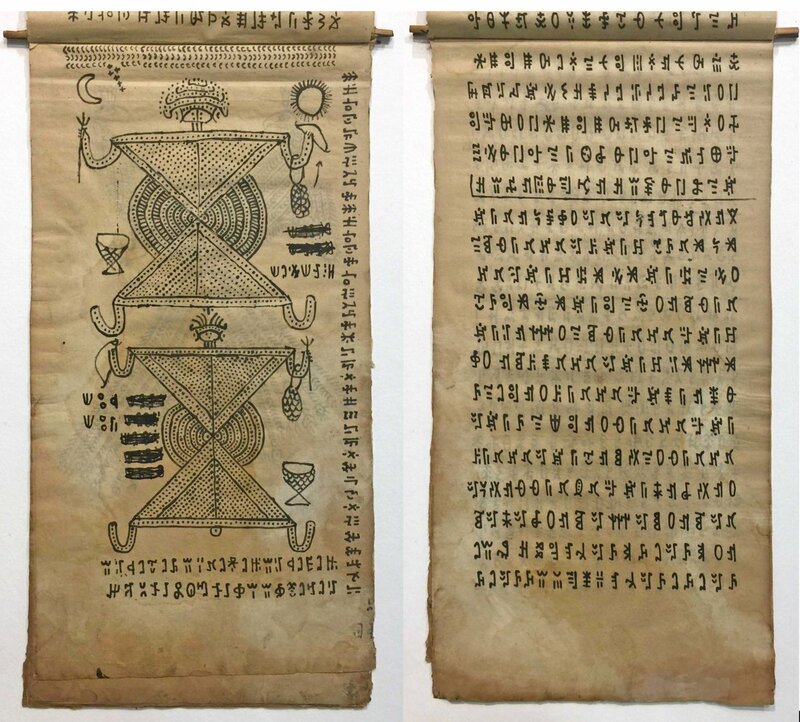 Magic plays a major role in daily life through healing, exorcism, asking for rain, cursing enemies, blessing, divination and analysis of one’s relationship with the spirits. 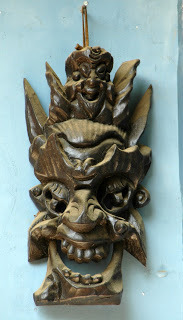 They believe dragons protect villages against bad spirits, and demons cause diseases. After someone dies they sacrifice a pig or sheep at the doorway to maintain relationship with the deceased spirit. 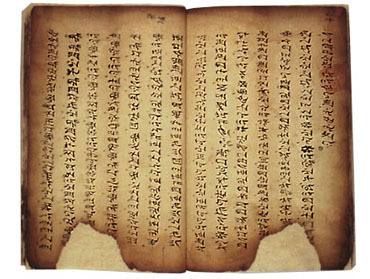 As Yi writing was mainly used for religious, magical or medical texts that were handed down from generation to generation by the priests (pimu) of individual villages (rather than being a means of communication between different communities or for the general passing of information), there was a strong tendency for localised versions of the script to develop in the hands of individual scribes. 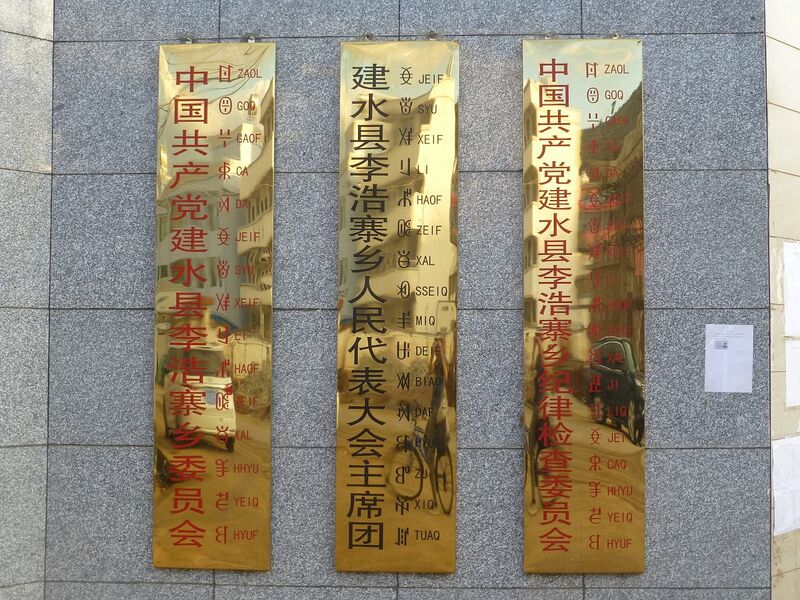 In 1974 the Chinese government converted Yi into a syllabary, the largest ever to be (to some extent) standardized, and in 1980 it was made the official script of the Liangshan (Cool Mountain) dialect of the Nuosu Yi language of Liangshan Yi Autonomous Prefecture. Yi is not so easily reined in, however, and other dialects of Yi do not yet have a standardized script. 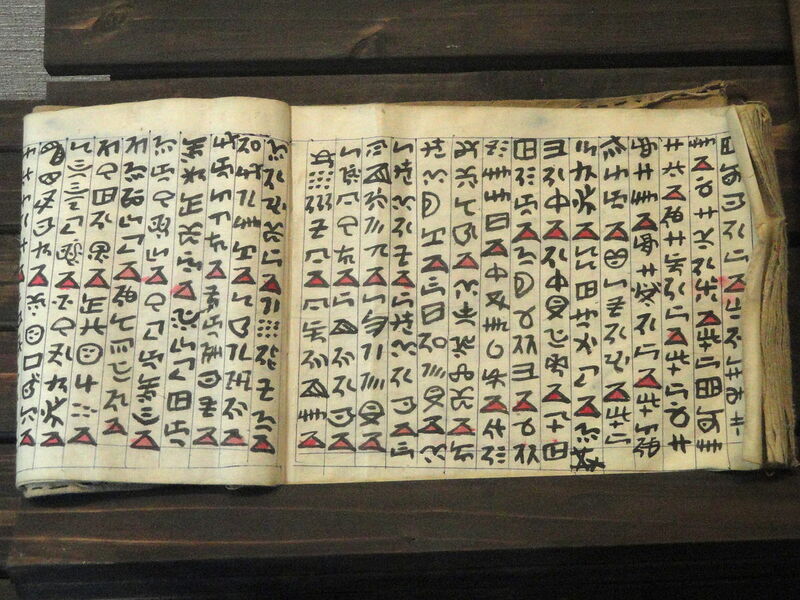 There are 756 basic glyphs based on the Liangshan dialect, plus 63 for syllables only used for words borrowed from Chinese. Chinese legislation states that standardized Yi is written horizontally, from left to right. 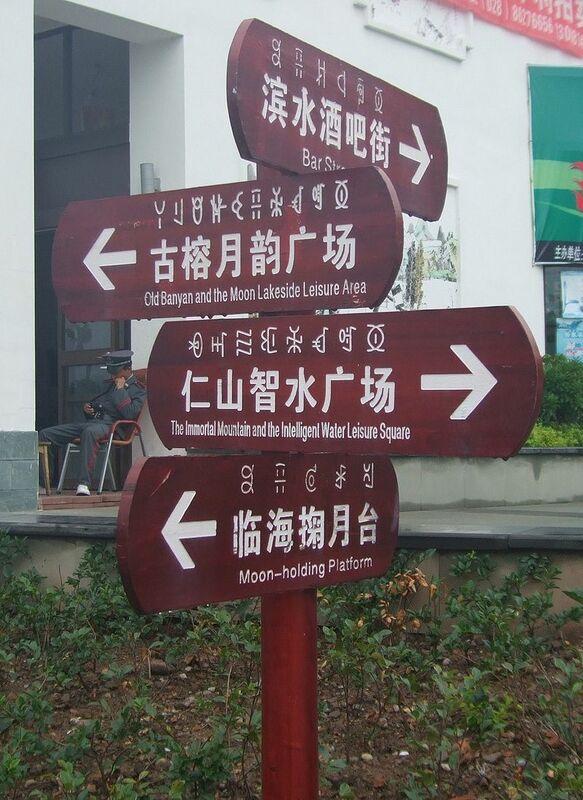 However, the traditional form, as used in southern Sichuan, is written in vertical columns from top to bottom and right to left, then rotated 90 degrees counterclockwise for reading, so that it is read in horizontal lines from left to right. Despite this variety, all Yi signs are made from five basic strokes; dot, horizontal line, vertical line, arch and circle. 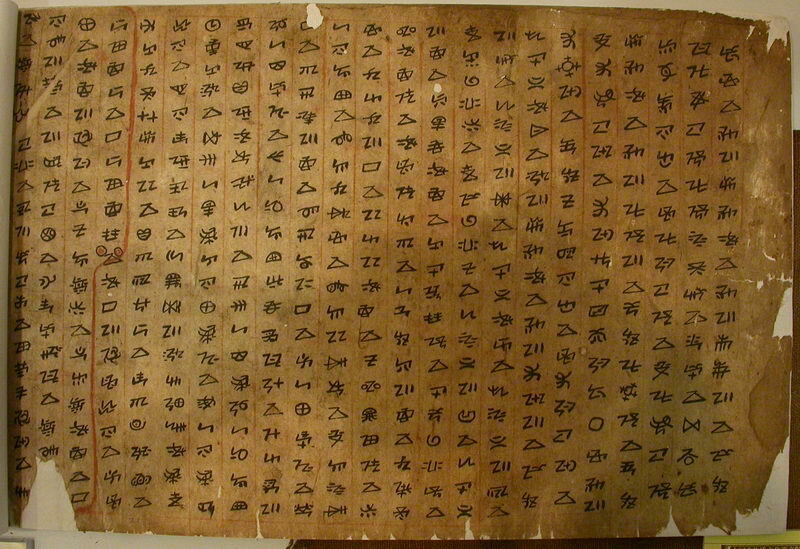 A Nuosu-Yi Bimo manuscript from Yunnan, South-West China, late 19th century. Full page drawings of the founder of the Yi civilisation, Zhyge Alu, with his copper helmet, net bag and bow & arrows. Photo by the Incunabula Group. Please do not reuse without permission.